A tall skeletal structure over a metre high and reaching up towards the sky. 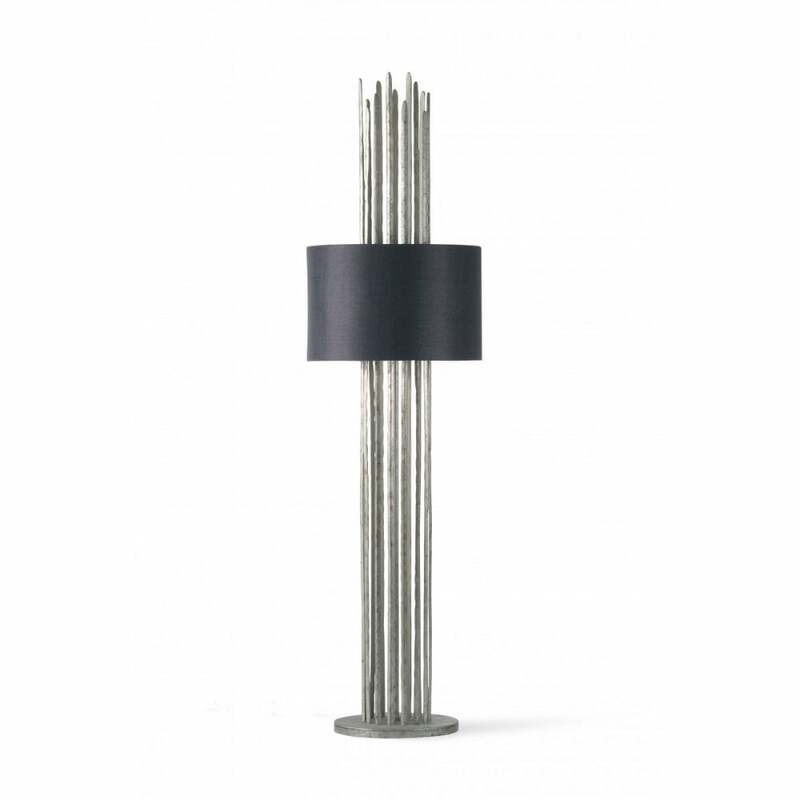 This Table Lamp is formed from a tight cylinder of beaten ‘Flynn’ strips. Also available as an imposing Floor Lamp.